Jade Delaney first received a month-long placement in May. Never underestimate the value of a first impression. Jade Delaney, the copywriter and aspiring agency creative who scored an enviable share of earned media when she showed up at the offices of McCann Bristol dressed as Fearless Girl, is now a full-time employee at the IPG agency. Her advice to others looking to make the same sort of splash? Take your ideas and run with them—fearlessly. 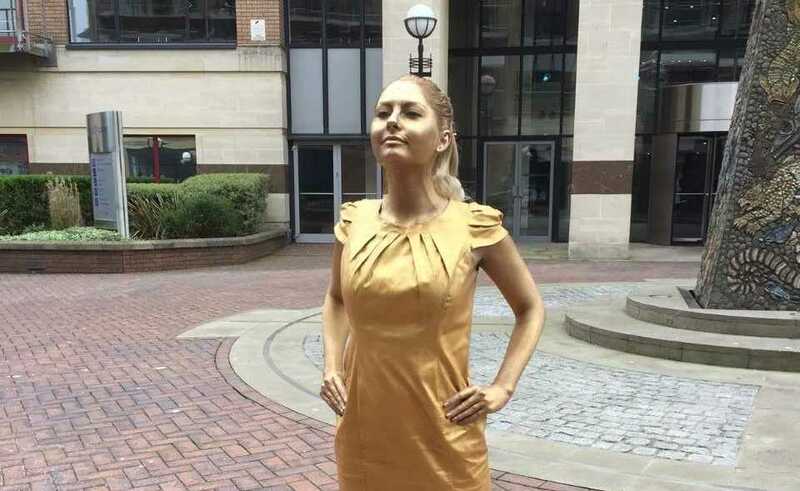 With the help of a professional makeup artist, the Gloucester University grad dressed herself from head to toe in gold paint one day in May before messaging managing director Andy Reid and creative director Jon Elsom on LinkedIn to let them know she would soon appear at their front door to recreate the statue’s iconic, defiant pose. Her demand was bold and succinct: I want a placement. As Reid told Adweek at the time, “Jade has been brave enough to stand out from the crowd, which is a fantastic trait for anyone starting a career in advertising.” The agency immediately offered her a month-long paid placement, or the U.K. equivalent of a trial run. After an extension of that placement, management decided to hire her as a junior conceptual creative. The announcement went out Monday. 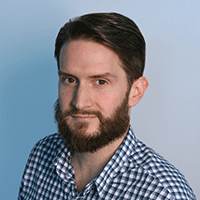 “Jade has been great since she arrived, she has taken it all in her stride, [and] just last week she was presenting a client case study in a new business meeting,” said Reid. The question follows: how have Delaney and her new employer dealt with her moment of viral fame? In the two months since joining McCann, she has been most excited to begin working on campaigns for a range of clients and getting to know her new colleagues outside the office while learning about roles beyond the traditional copywriter and art director duo. The experience has been very different than university. “People are teaching you so much, and now that you’re in an agency setting you have to learn a lot more [information] much more quickly,” she said. Her advice for other young creatives looking to break through is simple: be bold.